It’s been 30 years since the action thriller Die Hard premiered in theaters, and 20th Century Fox is celebrating the anniversary by releasing the film in 4k Ultra HD on Blu-ray Disc. 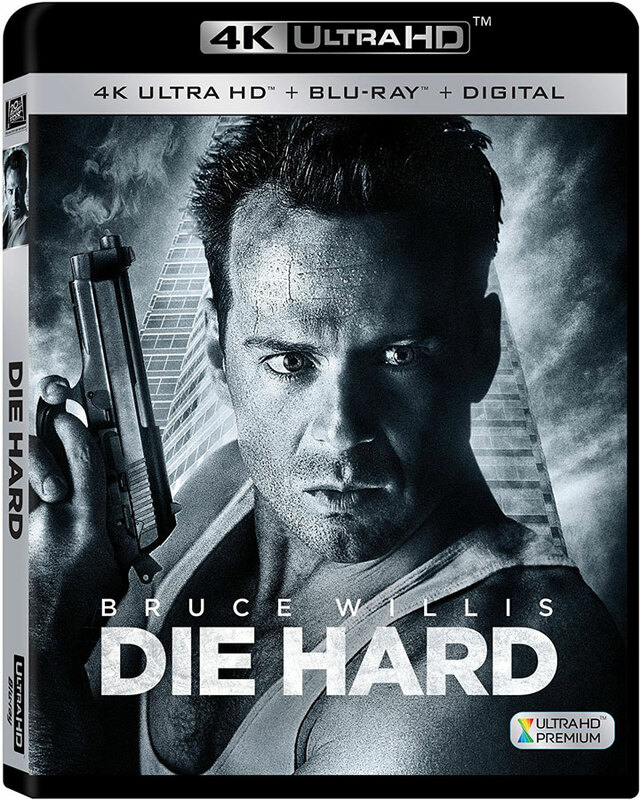 On Ultra HD Blu-ray, Die Hard is presented in 2160p resolution at 2.35:1 aspect ratio with HDR (High Dynamic Range) color improvements via HDR10. We don’t have confirmation of audio formatting but hopefully will include an upgrade from the last Blu-ray release that offered English DTS-HD Master Audio 5.1. The Blu-ray combo edition also comes with a Blu-ray Disc and Digital Copy to redeem. Die Hard was directed by John McTiernan, known for other memorable action films like Predator (1987) and The Hunt for Red October (1990). The film was nominated for 4 Oscars including Best Sound, Best Film Editing, and Best Effects (Sound and Visual). In Die Hard, Bruce Willis stars as off-duty NYPD police officer John McClane who takes on a group of German terrorists during a Christmas party at the Nakatomi Plaza in Los Angeles.